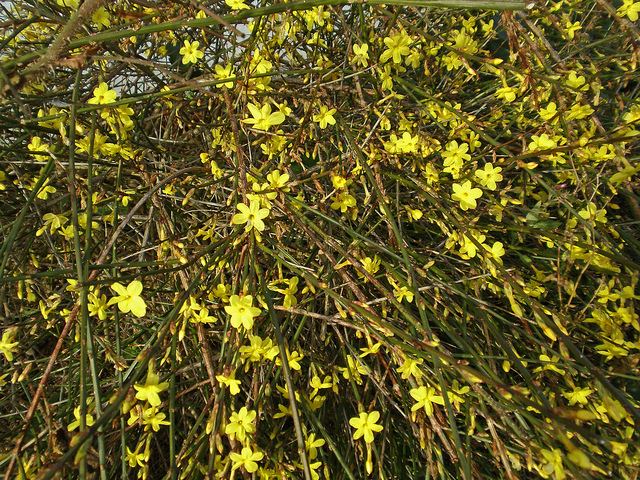 It’s a hardy deciduous shrub with long arching branches that bear bright yellow flowers on bare stems in the winter, and often through to spring. It was named ‘nudiflorum’ meaning ‘naked flower’ as its flowers bloom before its leaves, which appear in the summer. 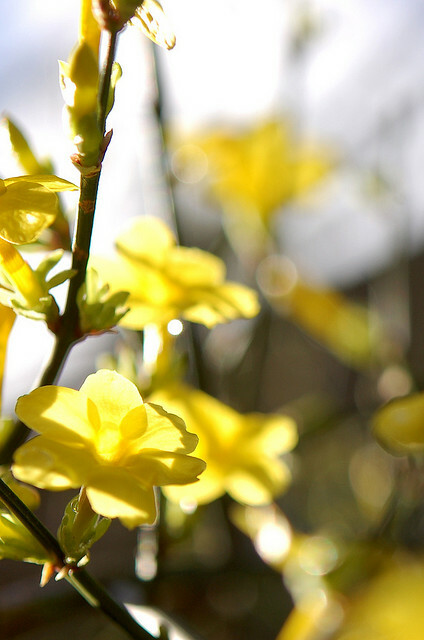 If you would like early flowers, then it’s best to plant your winter jasmine in a sunny spot because, although it’s tolerant of light shade, the flowers don’t appear in shady places until much later. The shrub prefers well-drained soil and is best planted in a sheltered position, against a wall or fence. It looks great trained up a house wall using wires or a trellis and can also be clipped into a low hedge. Pruning is really easy, just take a pair of hedging shears and trim back any growth after it has flowered. 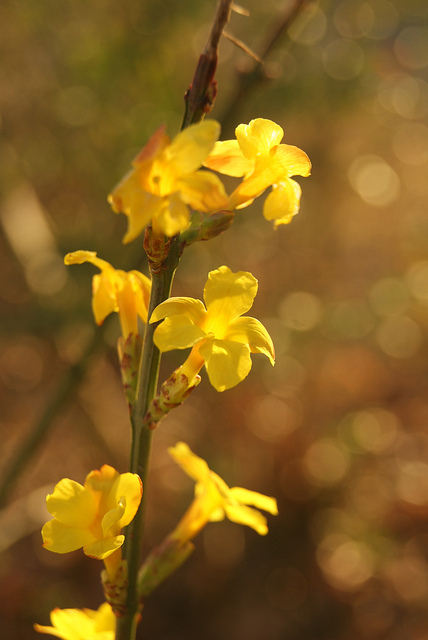 The twiggy branches can also be used in flower arrangements and their cheerful yellow flowers look wonderful mixed with winter iris, Iris unguicularis. 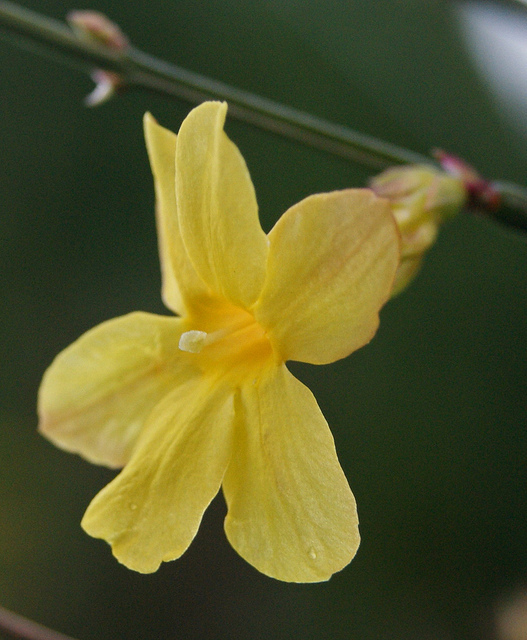 So, if you’re looking for a shrub to add colour to your garden over the winter months, why not consider a Jasminum nudiflorum?